On his way to Wayward Pines to find his missing ex-partner, secret service agent Ethan Burke’s car is struck by a car. He wakes up in the small idyllic town feeling confused and disoriented, his memory shot through with holes. As he tries to piece together what’s happening, Burke discovers that something dark lurks beneath the surface of this seemingly perfect slice of Americana. 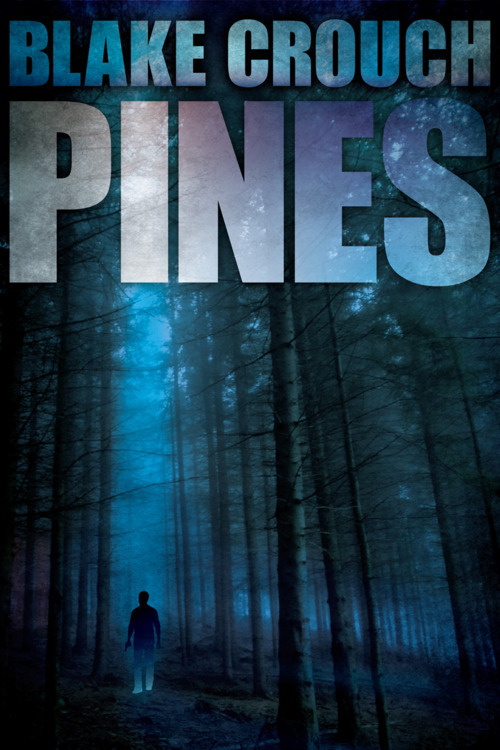 The pacing of the Pines had me struggling to stay awake at 3am so I could finish reading it (which I failed to do – and my younger self is very disappointed with me for this), that’s how caught up I was in the story. Even though the novel only covers a relatively short period of time (roughly seven days, I believe), it’s packed with enough action and fuel for speculating about the nature of the secret of Wayward Pines that it feels like there’s enough material for weeks, if not months. As a protagonist, Ethan Burke is typically heroic in his comportment, seemingly able to push past the limits of human endurance. Normally, this might bug me. Stoic, seemingly unbeatable heroes do little for me, because it has a tendency to take away from the tension of a text if you know that, no matter what, the hero is going to come out at the other end. In this situation though, Burke was, well, more of a means to an end for me; I wanted to know what the big secret was (read: whether my speculation was right), and sticking with him was the only way that was going to happen. So, although I might have critiques in hindsight, at the time I frankly didn’t care all that much. Crouch’s writing was a bit clunky at times, but for the most part it got the job done. It’s clear that his primary focus is on describing the action taking place, which – along with the pacing – made this feel like an ongoing pitch for an action movie (or, as it turns out, [spoiler alert] a TV series). I can see how this might cause a problem for some people, but in this particular case it worked for me. The biggest issue for me was the final act of the novel, which revealed a lot of information – more than I expected, to be honest – by basically having characters standing around talking to each other. This marred my appreciation for the novel, even as it gave me what I’d wanted all along. If this had been a stand-alone book rather than the first in a trilogy, I probably would’ve been pissed off with the weak rationalisation of events, but…actually, I think that might be the case regardless, the more I think about it. Sitting here thinking about it, my anticipation of what’s going to happen in the next installment of the series has been coloured by my annoyance at the laziness of the novel’s conclusion.